Stressful day at work? You are working on many projects and for different clients at the same time? The overview of working hours and projects gets lost easily in those situations. Try out now our time tracker for architects! Thanks to the recorded working hours, you always know when you were working on which project. TimeTrack saves you time, effort and guarantees the best overview! All the data is synchronized in real-time so that you can access it from the office computer or directly from your smartphone. Easy and efficient, that’s how we like it. Set the expected project duration and budget. 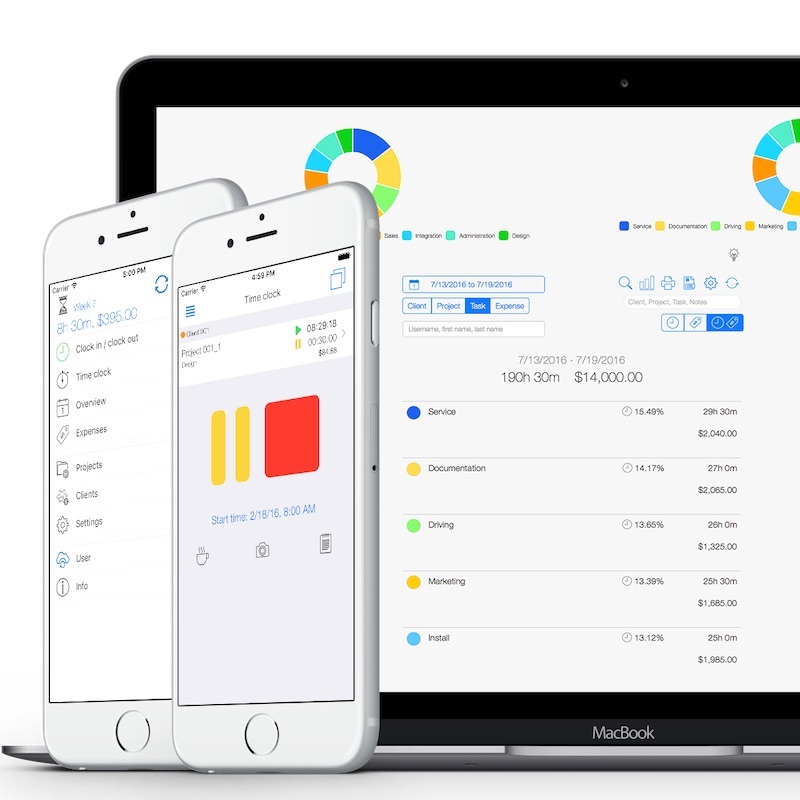 TimeTrack automatically activates the project tracking function and displays its progress, so that you can visualize how efficient you have been working. Has the project cost you too much time and money? You know it immediately! 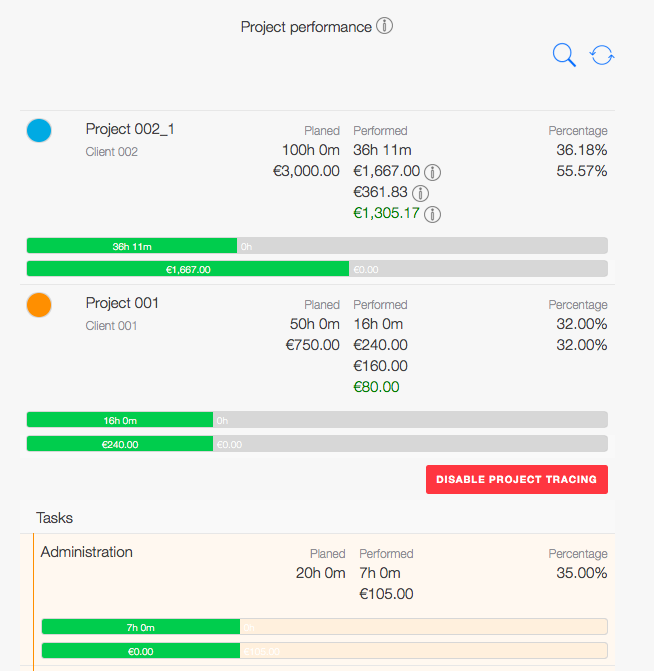 Our target-performance comparison shows which projects were efficient and which ones were not. Our goal is to optimize the working process in your architecture office by keeping an eye on all the project costs and activities. Together we can improve. Your projects are coming to an end and you need to see how many hours you spent for a specific client? Our web time tracker for architects creates reports and graphs so that you can visualize the progress of your projects. You can do the same with the activities done by specific employees. We believe it is important to work in a transparent environment. In case of a problem you can see which activities need improvement. Furthermore, the data can be exported easily, as pdf files or via csv/excel and can be reused in third systems. We create professional invoices quickly.You just have to select a client and TimeTrack displays all the incurred costs concerning that client. Invoicing can be quite annoying, especially when the end of the month is coming closer. However, we do our best to make it easy for you so that you get your outstanding debts faster. All invoices can be edited. We offer more than 50 settings to optimize them. You can visualize the result immediately. 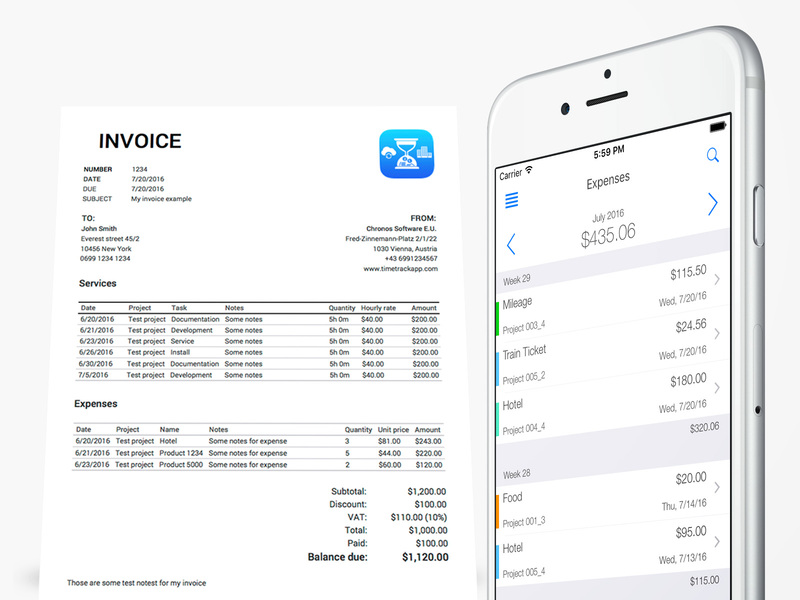 Just select a project and add it to the invoice. After adjusting the layout, the invoice is ready to be sent. TimeTrack is the optimal solution, if you are looking for an accurate and user-friendly time tracking system for architects. 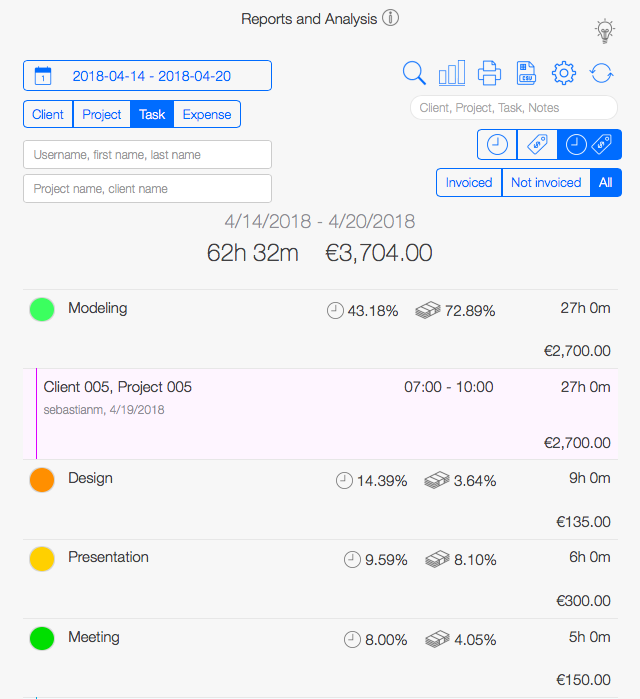 Our features help you keep the current overview of your projects and working hours. We save you a lot of time and effort and guarantee maximal transparency in your team. Try it out now!